Senior Consultant, Strategy & Innovation Management, Dr. Sc. Tech. Sari is working with Spinverse’s key customers in term long projects focusing on strategic design and implementation of open innovation ecosystems. Sari is a global citizen with a through experience in strategic management of people, business and innovation through 15 years of international working experience. She is passionate about building new business and creating high performing teams. Sari is joined the Spinverse team in June 2018 with focus on global ecosystems. Prior to that, Sari has been working in various companies and industries in four continents. She has through understanding of innovation ecosystem building both from theoretical and pragmatic points of view. Sari joined Nokia Networks in 1994 right after graduating from Lappeenranta University of Technology as a Master of Science in Industrial Engineering and Management. During 1994-2000 she was managing global development programs and launching products and solutions for Nokia Networks (based in USA & Finland). After completing her doctorate studies in the area of Strategic Management of Innovation in April 2005 she worked for Nokia Networks as the Head of Strategy for the Latin American region based out of Brazil. Thereafter she headed Nokia Siemens Networks’ Industry Marketing unit for the Middle East and Africa region from Kenya (2006-2008) and worked as Head of Strategy and Sales Operations for Nokia’s Latin American subsidiary in Miami (2008-2010). 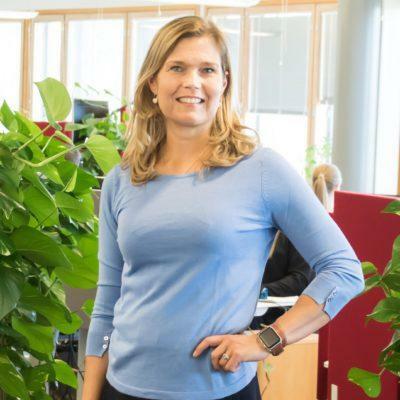 After returning to Finland in 2010, Sari worked for Elisa (2011-2014) as VP, Corporate Mobility and VP, Strategy & Innovation, and for KONE as Head of Sales Development (2014-2018). She is in the board of two companies: Finnish Consulting Group (since 2016) and Innovation House Finland (since 2017). Sari has significant public speaking experience and has authored a number of articles in academic publications (for example the 2007 edition of the Handbook of Strategy). Her interests include reading and sports, namely crossfit and weightlifting.